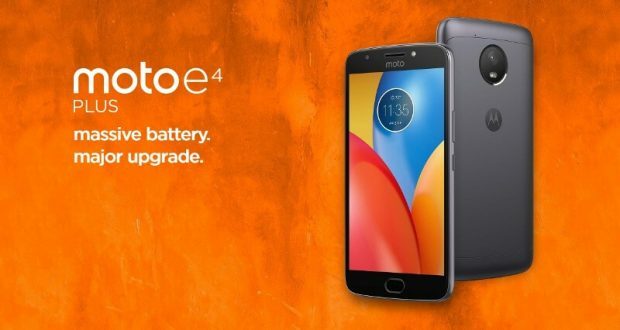 Lenovo brand Moto is all set to launch its latest budget smartphone in India- the Moto E4 Plus. The smartphone was globally unveiled in June, alongside the Moto E4. The Plus variant sports a massive 5000mAh battery, which is its highlight feature. Other highlight features are the inclusion of a fingerprint scanner, the use of Android 7.1 Nougat, and a front flash module. The Moto E4 Plus price in India is expected to be similar to its US pricing, which was set at $179.99 (roughly Rs. 11,600). Moto has already confirmed that the smartphone will be a Flipkart exclusive. The Moto E4 Plus runs Android 7.1 Nougat, and sports a 5.5-inch HD (720×1280 pixels) display. In the US, the smartphone sports a 1.4GHz Snapdragon 427 SoC, but in India it will launch with a MediaTek MTK6737M SoC. It has two RAM and storage variants – 2GB RAM/ 16GB storage and 3GB RAM/ 32GB storage variant as well. Storage is expandable via microSD card. As for optics, the Moto E4 Plus sports a 13-megapixel rear camera with an f/2.0 aperture and a single-LED flash module. On the front, it bears a 5-megapixel camera with an f/2.2 aperture and a single-LED flash module. Connectivity options aboard the Moto E4 Plus include 4G VoLTE, Wi-Fi 802.11n, Micro-USB, GPS, and Bluetooth v4.1. Sensors include accelerometer, ambient light sensor, magnetometer, and proximity sensor. As mentioned, the biggest USP of the Moto E4 Plus is 5000mAh non-removable battery that supports fast charging as well. The dimensions measure at 155×77.5×9.55mm, and the smartphone weighs 181 grams. The smartphone was launched in Iron Gray and Fine Gold colour options. 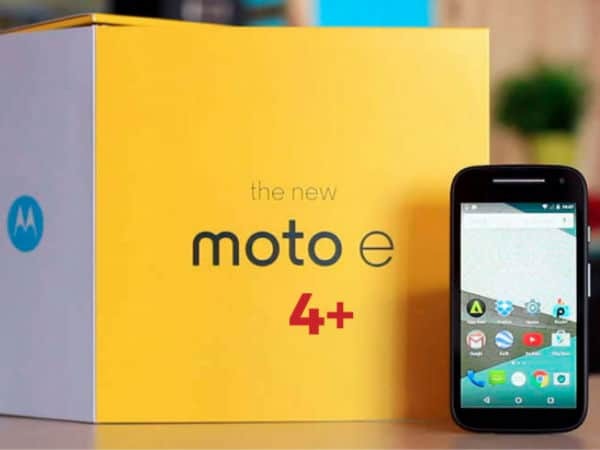 Motorola gears up for Moto E4 Plus India launch 0 out of 5 based on 0 ratings. 0 user reviews.